The late Diana Atwood Johnson. The University of New Haven announced yesterday that Lyme Academy College of Fine Arts, one of the University’s six colleges, has received a $1.1 million bequest from the estate of Diana Atwood Johnson, a longtime benefactor. The Sill House, a historic building encompassing studio space, the Lyme archives, and the Sill House Gallery, will receive $500,000. An additional $500,000 will go toward scholarships that benefit minority students. 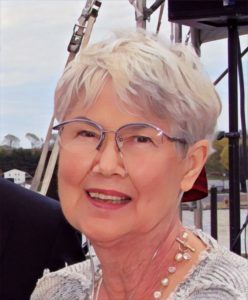 The remaining $100,000 will support the Diana Atwood Johnson Leadership Award, presented annually to a senior at Lyme who shows great promise and exemplifies the values of the institution. Atwood Johnson, who died in January, served on Lyme’s Board of Trustees. As chair, she was the driving force in helping Lyme earn its initial accreditation from the New England Association of Schools and Colleges, and she played a key role in initiating the affiliation that made Lyme the University of New Haven’s fifth college. In addition to this donation, Lyme has received nearly $3 million in gifts in the past five months as part of its capital campaign. Founded in 1976 in scenic Old Lyme, Conn., Lyme Academy College of Fine Arts is a community of emerging and established artists. Its Bachelor of Fine Arts program offers drawing, illustration, painting, and sculpture, attracting some of the brightest and most talented artists from around the world. Offering one of the most immersive fine arts educations available, Lyme students grow individually through intensive engagement with their craft and lively, profound exchanges of ideas and work. For more information, visit www.newhaven.edu/lyme. The University of New Haven, founded on the Yale campus in 1920, is a private, coeducational university situated on the coast of southern New England. It’s a diverse and vibrant community of more than 7,000 students, with campuses around the country and around the world. Within its five colleges, students immerse themselves in a transformative, career-focused education across the liberal arts and sciences, fine arts, business, engineering, and public safety and public service. More than 100 academic programs are offered, all grounded in a long-standing commitment to collaborative, interdisciplinary, project-based learning. For more information, visit www.newhaven.edu.